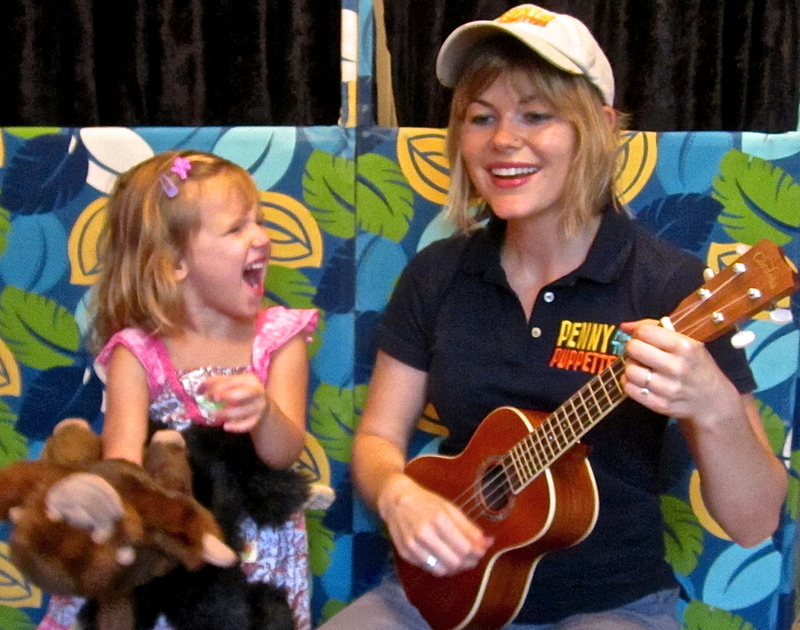 Penny and the Puppettes is a live, interactive, musical-comedy puppet show designed for kids ages 1-8. Featuring the singing of NYU musical theatre graduates, Penny & the Puppettes brings a genuine theater experience to your birthday party, school, library, camp, or other event. They offer 1 to 3 person shows! The Puppettes perform an original 30-50 minute show with all of their Puppette friends, using comedy and lots of audience participation to draw the children into the experience. Every show is customized and age-appropriate. In brief humorous sketches before each song, Penny & the Puppettes empower the children to deal with shyness and peer-pressure, to care for nature, and to respect their own feelings and the feelings of others. Parents and teachers are pleased to have life lessons presented through music, laughter and fun.